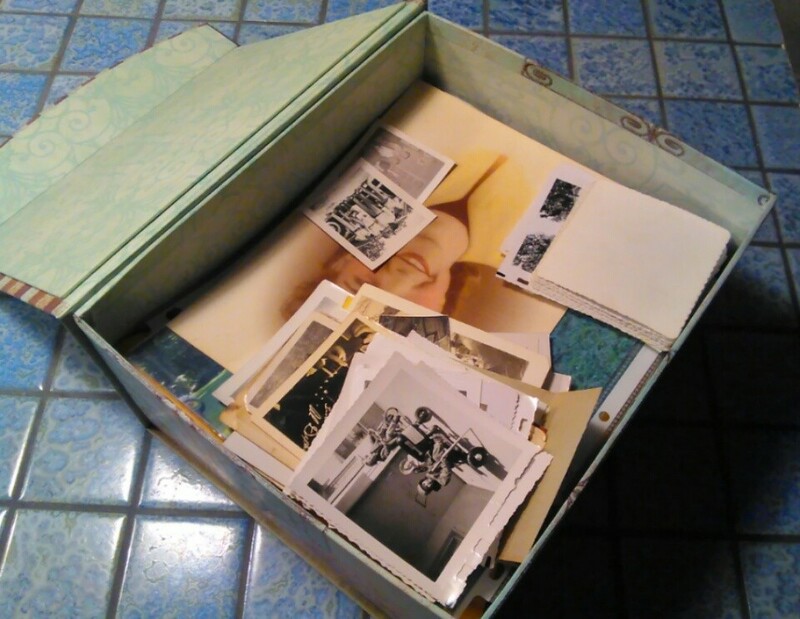 If you're like me, you have loose photos all around your house; maybe in your wallet, between the pages of books, and most definitely shoved into drawers! This is no way to treat our treasured memories, yet it happens- all those old family photos that have never been scanned into the computer or made it into photo albums - who has the time? The first step in a situation like this is to simply gather them into one place. Go ahead, gather them up! 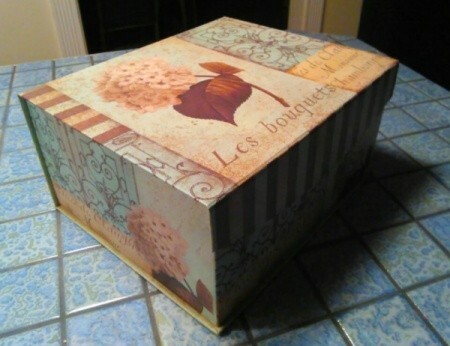 A safe and lovely way to keep them together is in a decorative paper box. Plastic envelopes and boxes can hold humidity and cause water damage to your pictures, while boxes made of light cardboard and pretty paper actually protect them from minor dampness by absorbing it. Organizing pictures can take a lot of time, and is easier done in steps. The first step is to gather them in one place that will protect them from humidity, dust, and general damage. Later you can divide them by year, or celebration, however you like. Simply place a piece of acid-free paper with the year written on it between the stacks. Next time you tackle them, invite a friend or relative over - you can even have them bring over their own lost photos - and make an afternoon out of it! Have a nice lunch together, and fill up your photo albums or make scrapbooks together. And if all else fails and you never get around to it, well, at least you've left your family a pretty treasure chest to discover! I haves boxes of photos of all of my children who are adults now, I intend to purchase decorative boxes and sort the pictures according to the person and put the photos and these decorative boxes and give them to my adult children, then they can decide whether they want to frame them or put them in an album or scan them on a computer. Wow, what a wonderful gift! I would be thrilled to receive a box full of lifetime memories- and how fun it will be for them to rediscover the treasures within! And it's a perfect (& very smart ) solution for you - let THEM figure it out!! It really is an amazing idea for a gift to adult children, or even an old life-long friend; thank you for sharing your idea, I know many people will emulate you! Take care & God bless!